And what an era it’s shaping up to be already. 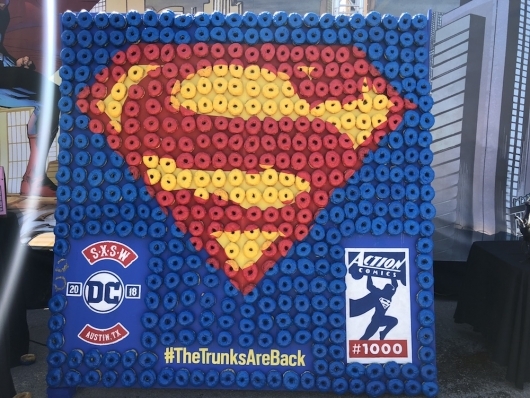 In addition to the red trunks announcement, DC Comics held a panel discussion with Superman creators from past, present, and future (Dan Jurgens, Frank Miller, Jim Lee, and Brian Michael Bendis) via its pop-up store SXSW this weekend about the upcoming milestone Action Comics #1000, DC’s new Black Label imprint, and what’s in store for our hero in the months ahead. Action Comics #1000 is an extra packed issue that will see current scribe Jurgens depart the book, having written a fifth of the entire series’ run. Jurgens, who told the crowd “I don’t know if we ever really say goodbye in comics,” described his swan song story within the issue as being a perfect vehicle to give a couple final statements about the character before walking away. 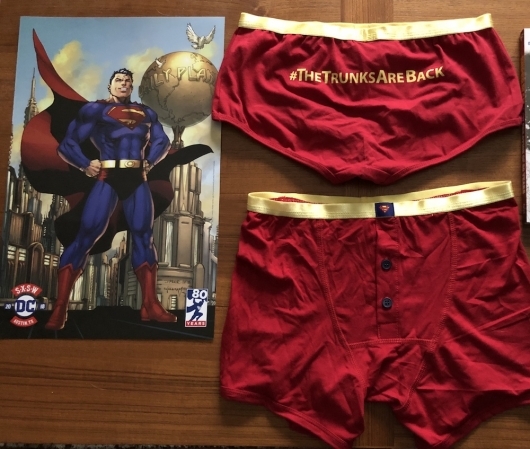 The story is called “For the City that has Everything” — a play on words and similar in tone to the classic Alan Moore storyline (“For the Man Who Has Everything”), which will address what Superman means for the people of Metropolis. The issue is also where you can find Bendis’ first Superman story, a 12-page tale with art from Lee that “should set up everything you need to know” heading into the first full issue of his run, as well as a Man of Steel 6-issue miniseries, which you can read more about here. 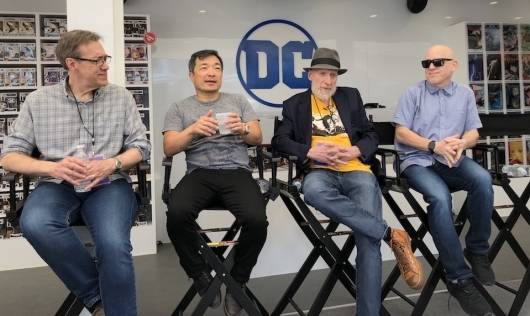 The SXSW panel also included details about the upcoming DC Black Label Superman: Year One book from the legendary Frank Miller and John Romita Jr.
That’s welcomed news for anyone expecting Kal-El to share many similarities with the way he’s presented in The Dark Knight Returns — a seemingly do-no-wrong boy scout in the back pocket of bureaucracy and political power.